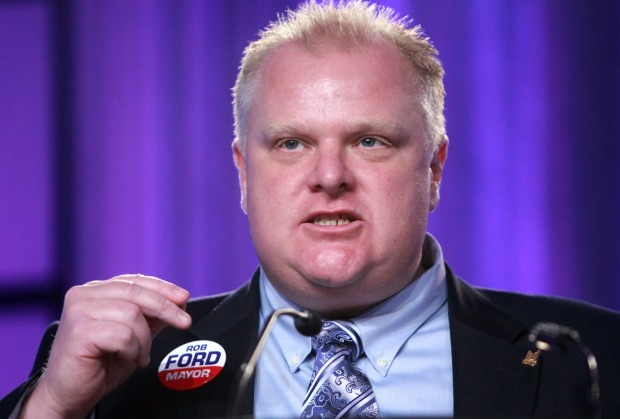 In a recent interview with Examiner.com, former Etobicoke councillor Rob Ford fashioned himself a social liberal. Here's his socially liberal opinions. I excluded the ones where he was drunk. Go to the Orient, go to Hong Kong. You want to see workaholics? Those Oriental people work like dogs... they sleep beside their machines. The Oriental people, they're slowly taking over... they're hard, hard workers. Gino-boy [in reference to George Mammoliti]. I don’t understand. No. 1, I don’t understand a transgender, I don’t understand, is it a guy dressed up like a girl or a girl dressed up like a guy? And we’re funding this for, I don’t know, what does it say here? We’re giving them $3,210? If you’re not doing needles and you’re not gay, you won't get AIDS, probably. People do not want government housing built in the city of Toronto. They want roads fixed, more police presence, but they don't want more government housing that will depreciate the value of their property. This is an insult to my constituents to even think about having a homeless shelter in their ward. And you want me to have a public meeting to discuss this? Why don’t we have a public lynching?